PIKETON — Lessons in proven pruning techniques to help maximize production and quality in your vineyards and fruit plantings will be taught as part of a special Pruning School workshop coming to The Ohio State University South Centers in March. 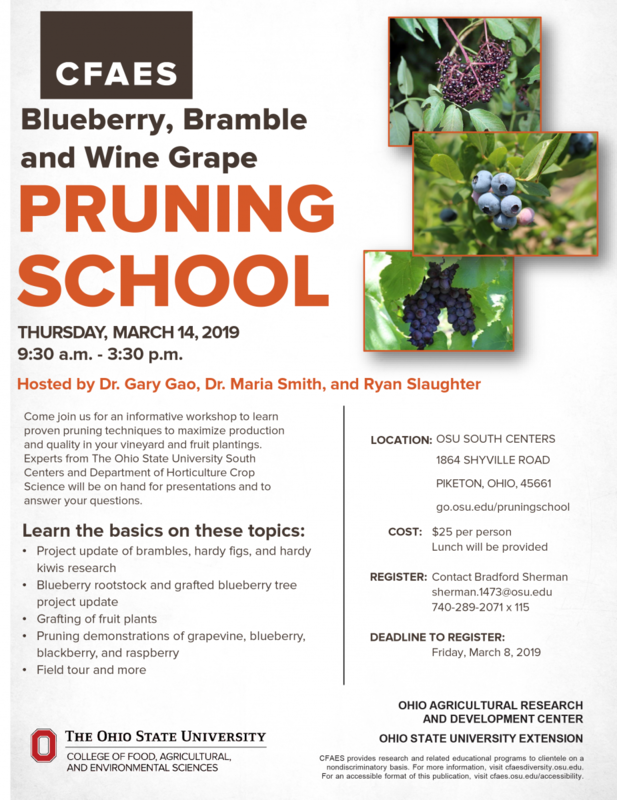 OSU South Centers is hosting a Blueberry, Bramble, and Wine Grape Pruning School workshop from 9:30 a.m. until 3:30 p.m. Thursday, March 14. This daytime educational opportunity will feature Dr. Gary Gao, Associate Professor and Extension Specialist at OSU South Centers, Research Assistant Ryan Slaughter, and Dr. Maria Smith, Research Associate with the Ohio State University Department of Horticulture Crop Science. 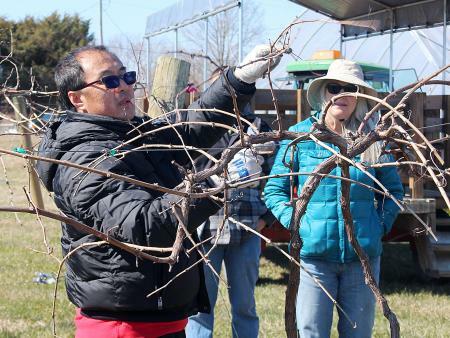 Gao has hosted pruning workshops at South Centers annually since 2012, and he says March is an ideal time to get started for most growers. The cost of the workshop is $25 per person and includes a lunch. You will need to preregister by Friday, March 8 by calling Program Assistant Bradford Sherman at 740-289-2071 ext. 115 or by emailing your registration information to sherman.1473@osu.edu. Morning activities will take place indoors, then following lunch, attendees will take a wagon ride for field pruning demonstrations on grapevines, blueberries, and blackberries/elderberries. The workshop will be held rain or shine, although the agenda is subject to change depending on weather. Techniques on display during this workshop will not only serve as an excellent starting point for beginners, but will also benefit experienced pruners, as you can never acquire enough knowledge and practice when it comes to pruning, according to Gao. OSU South Centers is located at 1864 Shyville Road in Piketon. Attendees should enter the Research and Extension Building upon arrival.